160 USD(for up to 3 people) (duration: 2 hours 30 min.) deposit ? Kid Friendly: Yes. Suitable for children who can sit by themselves on a car seat, as special car seatsfor children are not available. 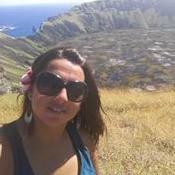 My Sunrise Tour is one of the most unforgettable experiences that you can live on Easter Island, it will give you a chance to revisit this majestic platform but in very different light conditions. The sun rises exactly behind the platform in the summer months (October to April) and the rest of the year behind the Poike volcano. You will be back in town and at the hotel in time to enjoy your breakfast feeling completely energized from this early morning experience. The perfect location for a magical, picture-perfect start of the day. The tour begins when I pick you up from the hotel. We then travel for approximately 35 minutes along the coastline road until we reach the east coast and the Ahu Tongariki site. We spend an hour approximately watching/photographing the sunrise and then return to the town of Hanga Roa and the hotel. Pick up times will vary depending on the time of the year to get the most of the sunrise. Transportation will be in an APV minivan with 4 doors, brand Suzuki, year 2014 with a maximum capacity for six people comfortably, clean, no air conditioning but distances are very short and we spend most of the time at the site. In this tour we will visit a grassy area with stones, so good comfortable walking shoes are recommended, walking sticks if you need the support as well. Transportation to the site (which is 25 kilometers away from the town) in a modern, non air conditioned vehicle (a cool breeze blows constantly from the sea). 30000 CLP - Should you wish to buy souvenirs when back in town. Other: The National Park ticket is not included. 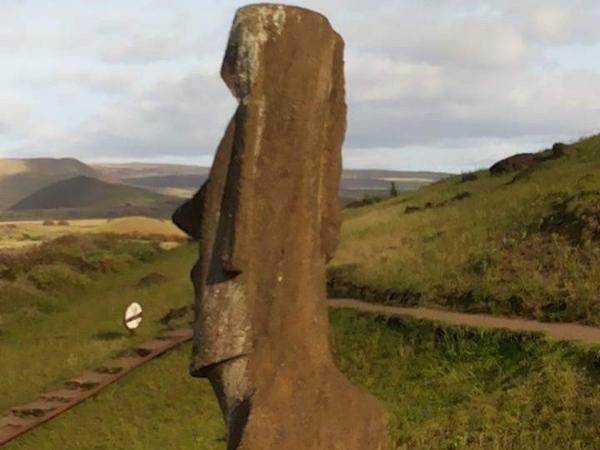 You need to have this ticket for this tour or any of the tours on Easter island. 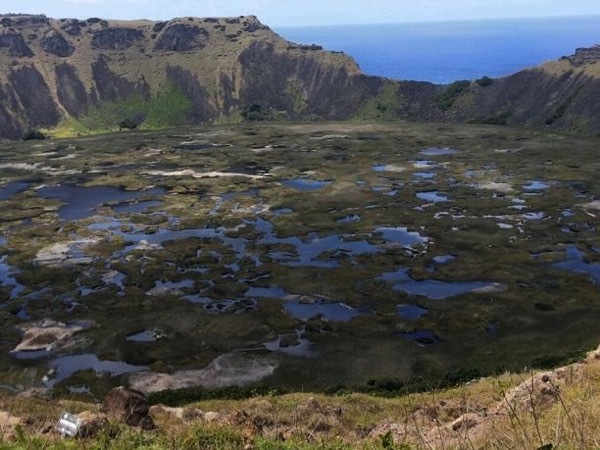 The ticket is valid for 10 days and allows you to visit all the major sites on the island at least once. It is recommended that you buy the ticket at the airport upon your arrival. There is a ticket office before you reach the luggage area. US Dollars or Chilean Pesos are needed for this transaction, no credit cards accepted. This tour is designed for up to three people. If your group is larger, please contact me for details and a quote. My car comfortably seats three people. Please inquire for larger groups. This is worth getting up in the morning for! 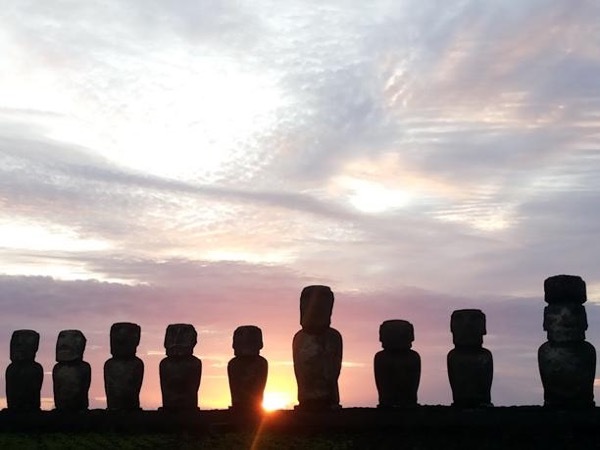 You never know what the sunrise will be like, and regardless, it gives you a different perspective on the Moai! We enjoyed it! Back in town by 8:45 and ready for breakfast!